This is a relatively new type of product that has been developed primarily in the Northeastern United States.While there have been attempts at Maple (syrup) liqueurs and vodkas in the past, none of which caught on to any huge degree, not to mention some truly awful flavored whiskies, this is one of the few attempts at a “rum” made from maple syrup or maple sap. Notes: Last Shot Distillery is (at this writing June of 2016) one of the newest distilleries in New York State ( producing, selling, and aging products not just setting up as many others are at the moment) . Run by Chris Uyehara and a very small team, Chris is a master chef and pastry chef and brings his art and attention to detail to all his products. Made in small (about 100 gallon) stills, they concentrate on small batch and quality. 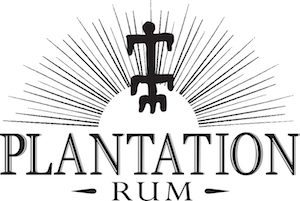 Their current line up includes a nicely flavorful vodka, an extremely flavorful and rich unaged white whiskey, a 100% corn unaged white whiskey, a bourbon, an unaged, white maple rum version, and this their aged and slightly sweeter version of the maple rum which is finished with oak staves. 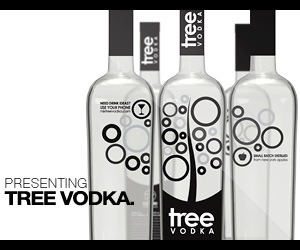 All the maple sap used in both version come from a local New York State supplier. Other products are also in development and to be bottled and released at some future point. There are rumors of direct versions of Bourbons and possibly a gin. Please check their website for new developments and releases! Appearance: Clear slightly gold, sap like appearance, slightly oily on swirling, it clings to the glass nicely, it clings in a light coat quite tenaciously to the glass forming an irregular edge line with some droplets followed by tears and legs. Would be a great addition to a mixologists cabinet, but will require some out of the box thinking, as this is an out of the box type of spirit. Bottle: Tall thin 375 ML Eau de Vie bottle makes for a nice presentation and shelf presence on your bar. Wrap around clear label is very easy to remove if you wish to reuse the bottle ( a nice size for oils or infusions after you have sadly finished the bottle. Other: One of the best and most true to its origins maple spirits we have had. Refreshingly dry, with a good maple taste and woody finish. 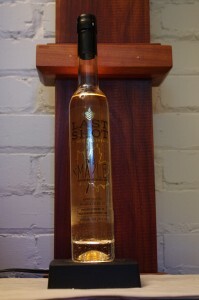 Final Thoughts: As usual with the Last Shot Distillery a well done and thoughtfully made product. Just not sure what to do with it. An outstanding example of a Maple based spirit. Simple put well laid out website, easy to navigate. Not a great deal of information , but fast to load and easy to find most of what you might want to know.